Today I’m visiting Sherburn Airfield in Yorkshire to meet a fellow pilot, Brian Cattle. 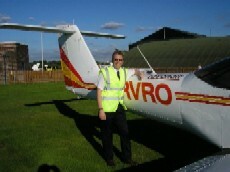 Brian is a very keen aviator and has been flying privately for quite a few years now. Dedicated and passionate flyers are always welcome on the podcast so I’m glad to say Brian’s agreed to come on the podcast to share the experiences of his flight training from PPL to CPL and on to Flying Instructor. 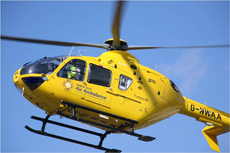 The North West Air Ambulance service has 2 helicopters. As you’ll hear in the podcast, one of them is based at Blackpool Airport and the other at City Airport, Manchester. For this episode of Flying Podcast I’m talking to Captain Marc Rowley, one of three pilots that fly the helicopters for the North West Air Ambulance service. Today I’m talking to Rob Hart from Sky Demon. 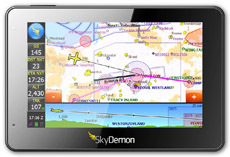 Sky Demon started out by developing VFR flight planning software and have since brought out their own aviation GPS unit. The flight planning software first caught my eye due to the quality of their charts which, I’m told, are built using adaptive vectors. That means that the detail on the map is always extremely clear no matter what level of zoom you are using. The main driver behind the product’s development is to present all relevant data to the pilot in as clear a way as possible and this they have accomplished well. Even NOTAM and weather briefing information is presented both in text form and graphically on the charts in a simple straightforward fashion. During my visit to the Flying Show at the end of 2010 I caught up with William Moore from Airbox Aerospace who make the Airbox Aware and Airbox Aware Plus aviation GPS’s. 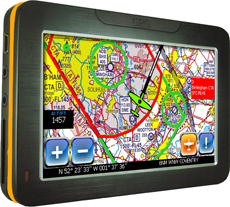 Designed in association with NATS, the National Air Traffic Services, The Airbox Aware is designed to tell you where you are and to warn you about controlled and restricted airspace in a really simple way. It’s been around for about a year now and the makers, Airbox, claim that they’ve seen the first fall in airspace busts since record keeping began in 2003. During my visit to the Flying Show recently I caught up with an organisation I’ve been wanting to base an episode on for quite a while. A listener, Michael Womersley-Carter, had brought Sky Watch Civil Air Patrol to my attention some time back so I was keen to interview them at the NEC. Tony Cowan MBE is Chairman of Sky Watch and kindly agreed to spare half an hour to chat about the organisation and about his own personal aviation story. Oli went to LA to do his PPL training in late 2006. Like many of us that train in the UK he’d started and stopped due to the weather and lack of funds. So, when he’d saved up enough to get out to the USA to complete his training he took the plunge and went to California. The decision to go the Los Angeles was made easy by the fact that he had family out there so he could save on accommodation costs. Just recently I was at the NEC in Birmingham for the Flying Show so I took the opportunity to have a chat with various people down there. First up was Steve Bridgewater, Commercial Director at Air Atlantique’s Classic Flight. Classic Flight do a superb job of keeping some classic old British Aircraft in airworthy condition. They have recently opened `Airbase’ at Coventry Airport. Airbase is not a museum in the conventional sense but more a working hangar that allows visitors to go and have a look around. They actually call themselves a ‘safari park for classic aeroplanes’. 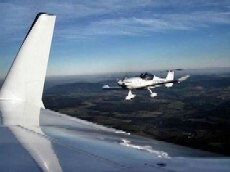 In addition they also offer pleasure flights in several of their aircraft. It sounded like an interesting story, so for episode 34 of Flying Podcast I firstly asked Steve to explain the history of Classic Flight. I’ve been asked by a listener called Tom Boothby whether I could do an episode on flight training in the US. I’ve eventually got a few folks lined up to come on the podcast and chat about their experiences. So, Episode 33 of Flying Podcast features a fellow Barton flyer called Dave Crozier who trained in the US some time back. My first question for Dave was `what was your experience of flight training in the USA?’ His response was that he’d been struggling to get his PPL completed over here in the UK. The weather in England was conspiring to prevent him getting his flying licence so he decided to go over to the US to complete his training. 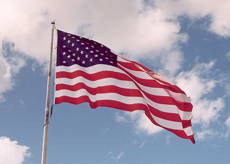 After a great deal of research, Dave chose UK Flight Training of Long Beach in California. He chose California due to the predicted better weather and with 360 flying days a year who could argue. Episode 32 of Flying Podcast sees me back up to York to interview Peter Davies. 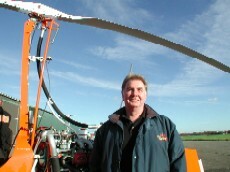 Peter is an instructor on gyrocopters for the Gyrocopter Experience. He currently runs their Preston franchise. Quite by chance, when I was reading about gyrocopters I came across Peter’s name and I was fascinated to read about his experiences in the world of aviation. His flying pedigree goes way back to the early days of hang gliding and microlighting here in the UK and so I thought he’d make a good candidate to appear on the podcast. For episode 31 of Flying Podcast I’m talking Martin Hatton. 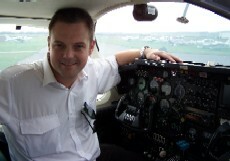 Martin spends much of his time training flying instructors for Ravenair, based at Liverpool Airport and City Airport, Manchester. I was interested to find out what it takes to become a flying instructor and what is involved in getting a flying instructor rating. My first question was `Why do people become flying instructors?’. Martin replied that it’s mainly to build hours for a commercial career but there are people who actually have other jobs and wish to instruct in their spare time, or, like Martin, they just want to be a flying instructor. There is the added advantage that you get to fly for free and get paid for it.